I wanted to get a chocolate bunny, since every Easter basket needs a chocolate bunny, and some other small treats too. 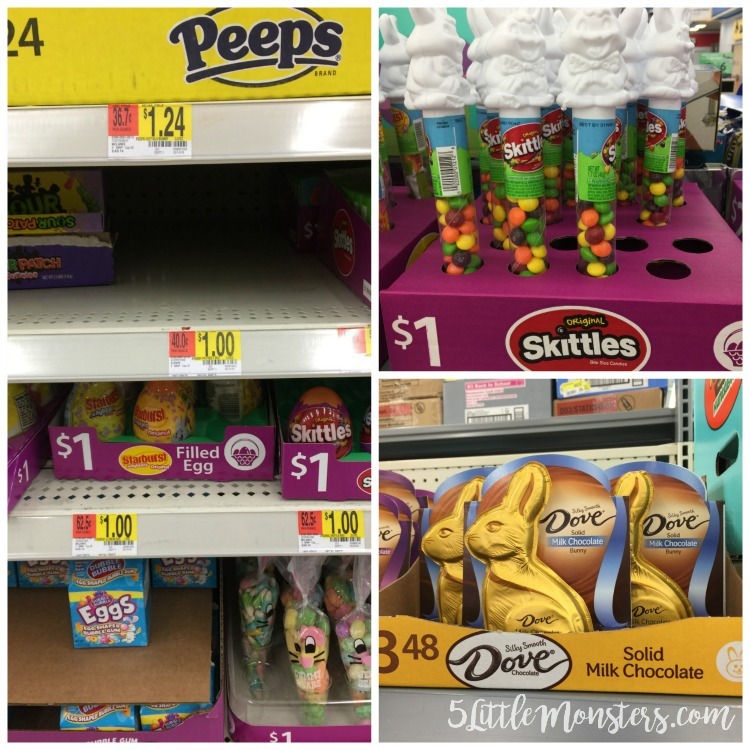 I picked up a DOVE® Solid Milk Chocolate Bunny, a SKITTLES® $1 Bunny Tube, and a STARBURST® $1 Jellybean Egg. 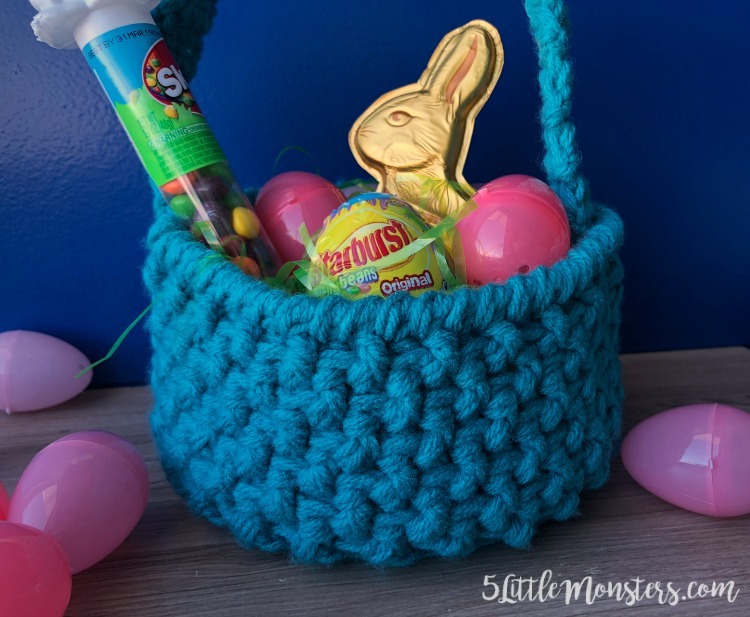 The gold foil bunny looks so pretty in the basket and with the SKITTLES® candies and STARBURST® Jellybean Egg being only $1 each they were perfect for putting in a basket. I picked up my candy at Walmart, you can find all of them there or you can click on the picture above to purchase the items on Walmart.com. 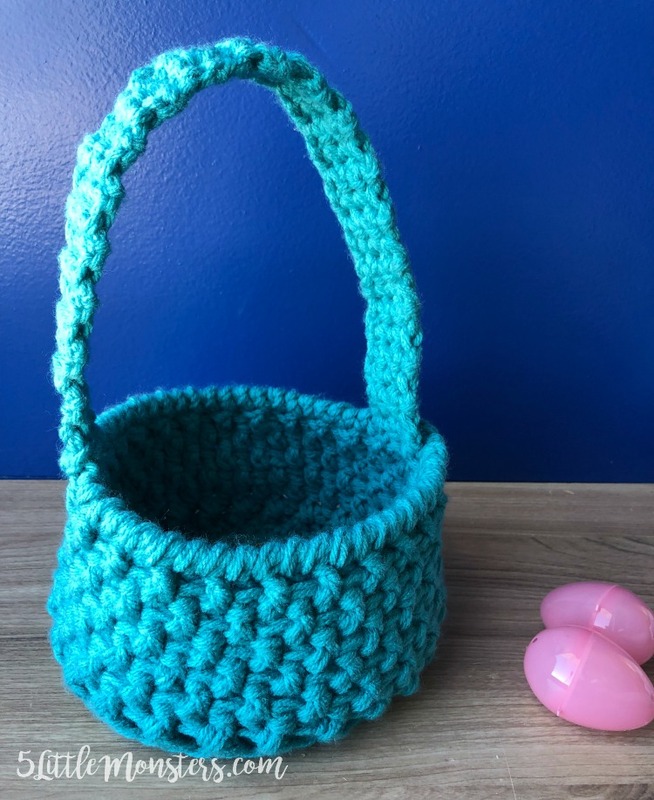 When I was choosing a stitch for my basket I knew I wanted a stitch that would give a woven look, similar to a basket weave. I decided on front and back post double crochet and I really loved the way it turned out. I finished with a round of crab stitch around the top to give it a nice finished edge. Then I added a handle. 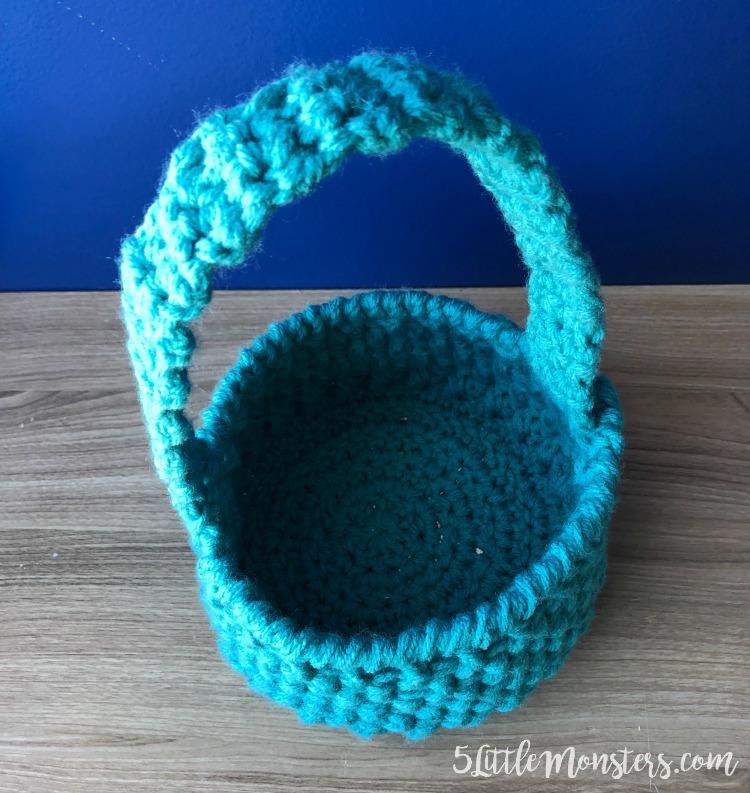 To make the basket sturdier it is worked with 2 strands of yarn held together. You can either use both strands of yarn (pulling from center and outside) of one skein, or to keep things from getting tangled up you can use 2 skeins and pull one strand from each. Whichever way you choose you will hold those to strands together and work as one the whole time. 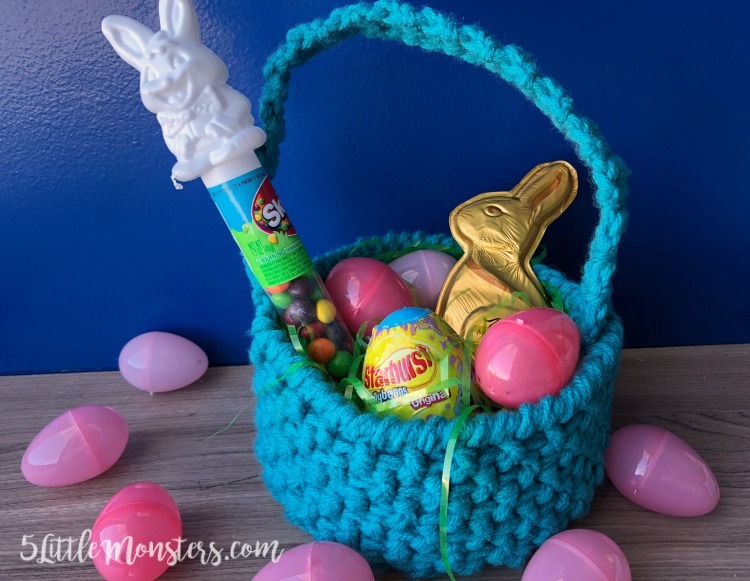 Then all that is left is to fill you new Easter basket with all kids of fun goodies, Hop To It and head to Walmart to pick up some fun Mars and Wrigley candy to fill up your Easter basket, Easter will be here before you know it.